Pete Davidson understandably went on social media hiatus last year, citing mental health concerns. He’d been relentlessly targeted by Arianators in the wake of his and Grande’s viral break up, and posted a disturbing note about suicidal ideation before going offline altogether. Happily, these days Davidson’s doing a lot better. As such, he’s returning to the gram — with some help from a friend. Filmmaker and photographer Marcus Russell Price is now running the official @petedavidson account, and promoting the comedian’ new tour with John Mulaney. 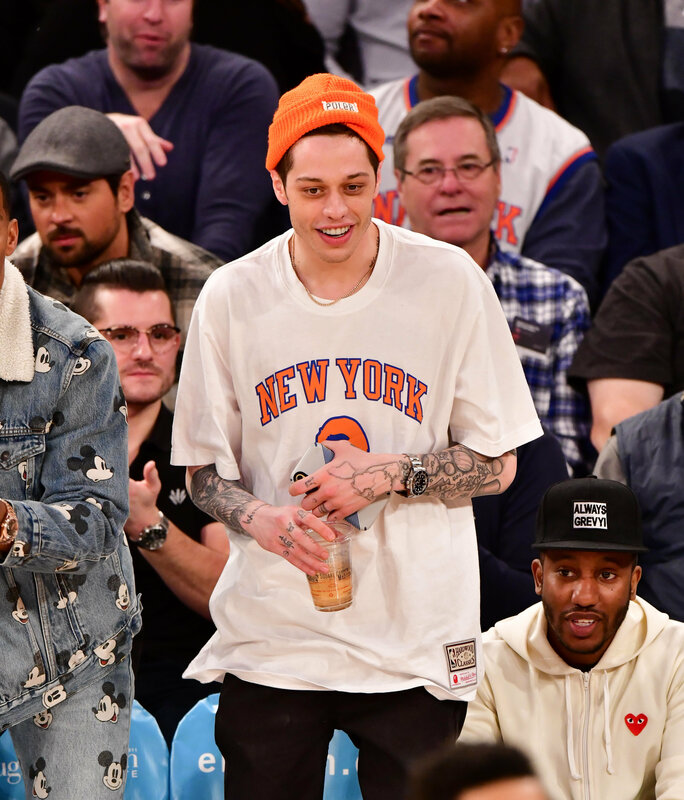 (Mulaney and Davidson are good buddies, appearing at the SNL Weekend Update desk together and being papped courtside at Knicks games). Russell Price added three new squares to Davidson’s wiped grid — an animated GIF, accompanied by information about the tour dates, plus two blank posts so that the GIF is centered. Tasteful. It’s great to see Pete back on the feed! Truly, we should all be handing our passwords over to trusted friends with aesthetic curation skills.